Since its start in the early ’60s, the Rolex 24 at Daytona has been famous for attracting drivers form many disciplines and many series; not only is it a prestigious race to have listed in one’s palmares, it runs at a time most tracks are snowed in and most series on vacation. It serves as a great off-season skill-sharpener, and while exhausting, can also be a lot of fun. Of all the celebrity drivers joining teams for the Rolex this year, Jeff Gordon has to top the list. The four-time NASCAR Sprint Cup champion retired in 2016, only to come back to NASCAR to fill in for the injured Dale Earnhardt Jr. Gordon has won the Daytona 500 three times, but has only once attempted the Rolex 24—in 2007, with SunTrust racing, as Wayne Taylor’s team was known at the time. 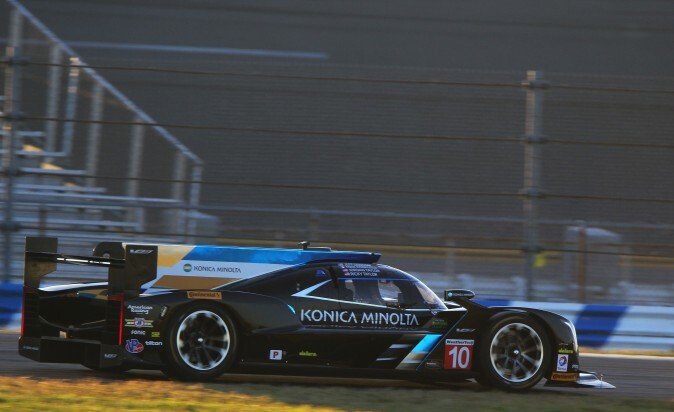 Instead of Riley-Lexus DP, Gordon will drive a 2017 Cadillac Daytona prototype international V.R. 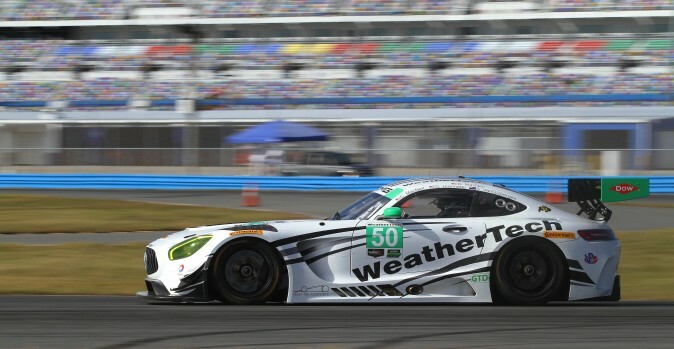 Ten years and a more powerful car with higher downforce didn’t faze the veteran pilot, though, as he set times comparable to his team mates’ at the two day test at Daytona, Dec. 13–14. “I had so much fun the first time I did this,” Gordon told IMSA.com. “And at this point of my life and career [winning the Rolex 24] would be huge. When I came here in 2007 I was just kind of along for the ride. His co-drivers did have to make some adjustments—they weren’t ready for the crush of Jeff Gordon fans surrounding their garage stall between sessions. Jeff Gordon is far from the only star driver from another series joining teams for the Rolex. 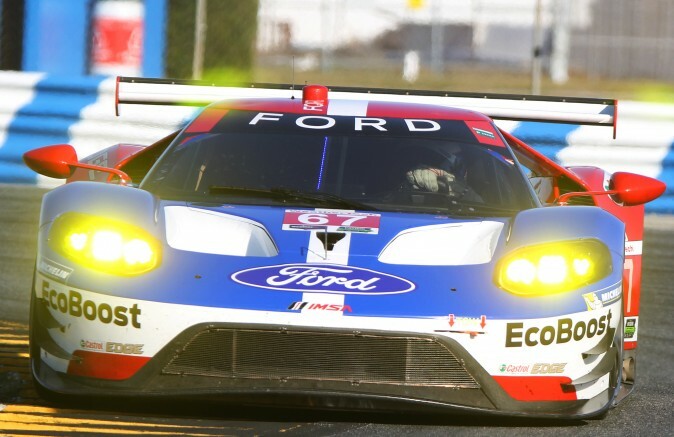 IndyCar’s Scott Dixon will be back behind the wheel of the #67 Ford Chip Ganassi Ford GT. The three-time IndyCar champion showed he is already on the pace, setting the fastest lap among GTLM cars Tuesday. Another IndyCar star, Ryan Briscoe, will be joining Dixon, along with Richard Westbrook. 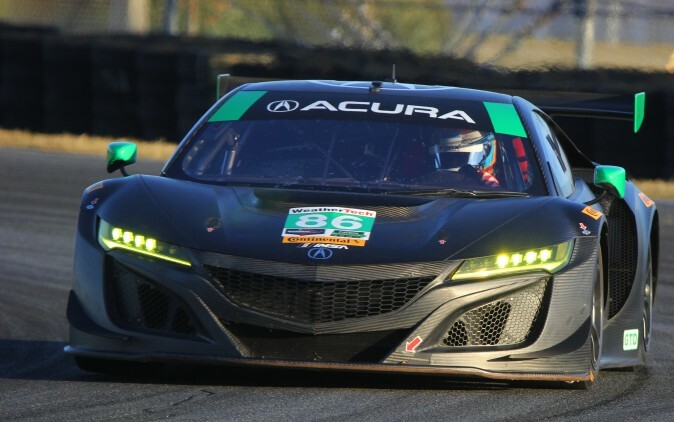 2012 IndyCar champion and 2014 Indy 500 winner Ryan hunter-Reay will be co-driving one of Michael Shank Racing’s GTD Acura NSXs. 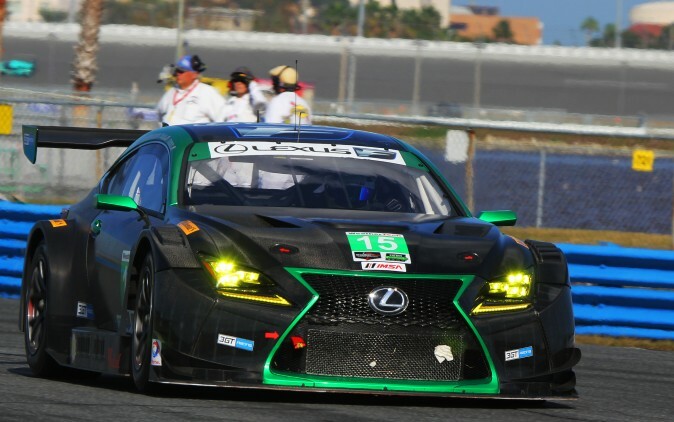 Another pair of IndyCar drivers, Sage Karam and Jack Hawksworth, will join Robert Alon and five-time Rolex champion Scott Pruett in the #15 3GT Racing Lexus RCF GT3. 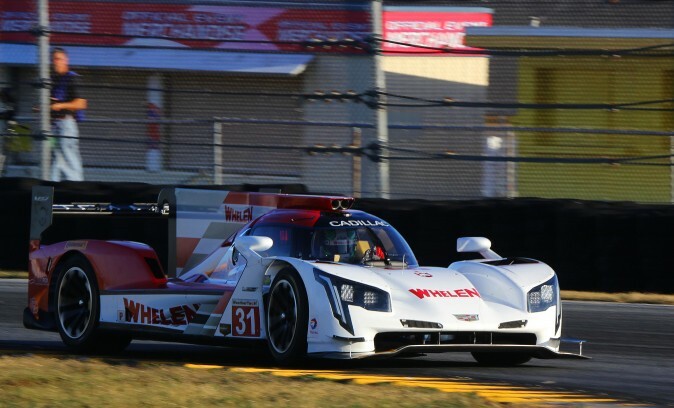 IndyCar and WEC Toyota prototype driver Mike Conway has joined reigning series champs Eric Curran and Dane Cameron in the #31 Action Express Cadillac DPi-V.R. 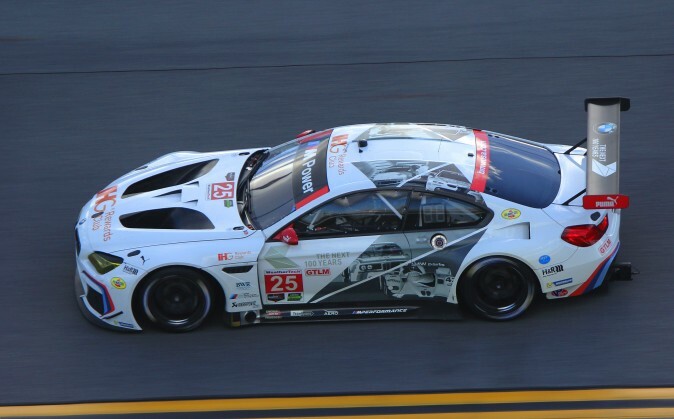 DTM drivers Bruno Spengler of France and Martin Tomczyk of Germany are co-driving the #25 RLL Team BMW M6 GTLM with regular pilot John Edwards. 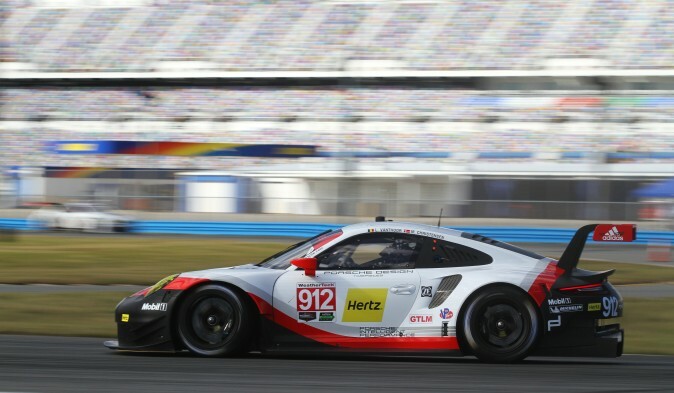 Belgium’s Laurens Vanthoor, who drives in the Blancpain GT Sprint and Endurance series and took a turn with Michael Shank Racing at Le Mans in 2016, will join Michael Christensen in the new mid-engined #912 Porsche GT Team 911 RSR. Shane van Gisbergen, who made his name and fame twice winning the Australian V8 Supercars championship and also scored the Blancpain Endurance title for McLaren in 2016, will co-drive with Cooper MacNeil and Gunnar Jeannette in the #50 Riley Motorsports/WeatherTech Racing Mercedes AMG GT3. With the Rolex still six weeks away, it is likely this list will grow. Tickets for the Roar Before the Rolex 24 (Jan. 6–8, 2017) and the 2017 Rolex 24 at Daytona (Jan. 28–29, 2017) can be purchased through the Daytona International Speedway website.